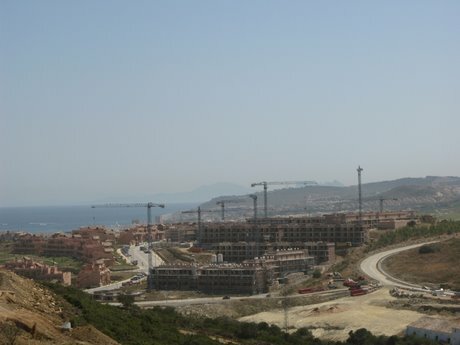 Spain’s residential construction sector continues to shrink at an unprecedented rate. Housing starts fell by 47% to 33,140 in Q3 compared to the same period last year, according to the latest figure from the Ministry of Housing. Excluding social housing the fall was a whopping 61% less homes started in the period, and 20% down compared to Q2. Over 12 months total housing starts were down 35% to 444,544. The rapidly dwindling number of new homes being built partly explains the country’s shockingly high unemployment figures – going on for 20%. Rising unemployment inevitably leads to higher mortgage defaults, so it’s bad news for the housing market too. So much for the number of new homes started. What about the number being finished? After all, new homes finished today are almost certain to join the more than 1 million unsold new homes already on the market. According to the Ministry of Housing there were 83,500 construction completions in Q3 (excluding social housing), 41% down year on the same time last year and 13% down on the previous quarter. Over 12 months construction completions were down 35% to 444,544. That’s still far too high for the depressed Spanish property market, but given the time lags in the construction business this figure will soon start to decline rapidly. The open wounds of Spain’s property crash are easy to spot. They are the abandoned building sites that increasingly litter the Spanish coast. The number grows by the day, as developers that have been holding on finally run out of money. 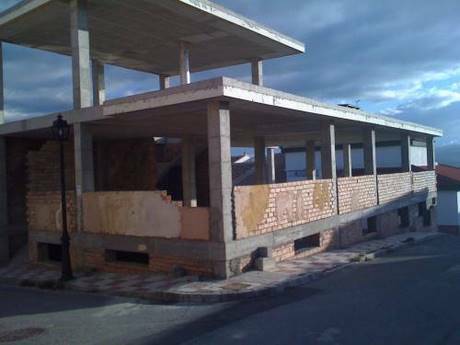 There are now reported to be an estimated 19,000 half-built homes abandoned before completion on the coast of the Valencian region alone.